Home / Aga Muhlach / GMA Films / Marian Rivera / movie / PEP / Regal Films / Aga Muhlach-Marian Rivera movie, coming soon? 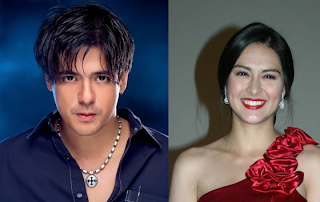 Aga Muhlach-Marian Rivera movie, coming soon? After pairing up with Angel Locsin in the Star Cinema produced movie In The Name of Love, newly recruited Kapatid star Aga Muhlach is set to do a project with Kapuso Primetime Queen Marian Rivera. In a recent scoop from the Philippine Entertainment Portal (PEP.ph), the Aga-Marian collaboration movie is going to be another Regal Films-GMA Films tie up. Come September 2011, the casts will start shooting their scenes for the said movie. What can you say about this team up? Will this be an instant hit knowing Aga and Marian are both mass favorites? Are you going to watch the movie? Tell us what you think.